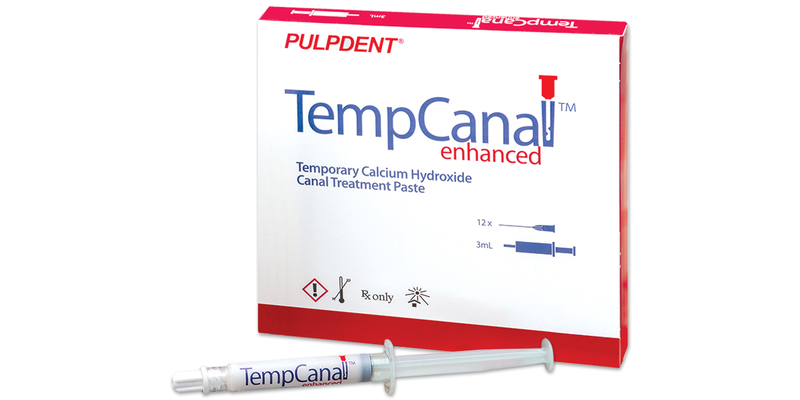 Temporary calcium hydroxide root canal treatment for routine use between visits to prevent flare-ups, and for extended treatment of complicated cases. Conveniently syringe-dispensed into the canal through a 27 gauge endodontic irrigation needle. Non-setting and non-drying; creamy paste is easily removed with a file and irrigation. Radiopaque. Contains: 1 x 3ml syringe, 12 x 27 ga. endo irrigation needles. Contains: 4 x 1.2ml syringe, 20 x 27 ga. endo irrigation needles. Contains: 20 x 27 ga. endo irrigation needles.